With Posting Shelf - 90.5"
The Stak-N-Lok™ Retractable Door Stackable Shelving units provide maximum versatility, capacity, and security while keeping your medical documents easily accessible. This model has seven tiers. Expandable: The versatile Stak-N-Lok™ system is fully expandable - individual tiers can be stacked to create custom, modular solutions for your office's unique storage requirements. As your capacity requirements increase, simply add more units. Datum offers more sizes than any other manufacturer - choose from 24", 30", 36", or 42" shelves. 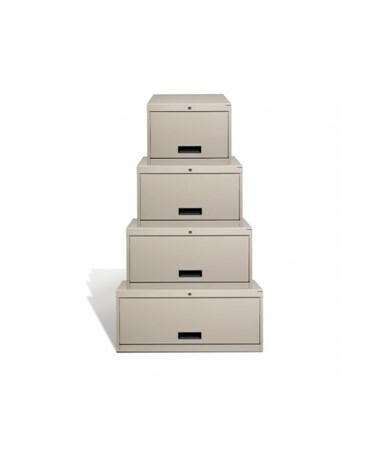 Mix and match different sizes to make the most of your available storage space. TrakSlider Compatible: This space-saving filing system is also compatible Datum's TrakSlider™ system for even greater storage efficiency in limited spaces. These systems can more than double capacity by converting stationary files into moveable systems that require only a fraction of the floor space. Specifications: The units are constructed of durable rust-free cold-rolled steel out any sharp edges. They are powder-coated for a high quality, corrosion-resistant finish. 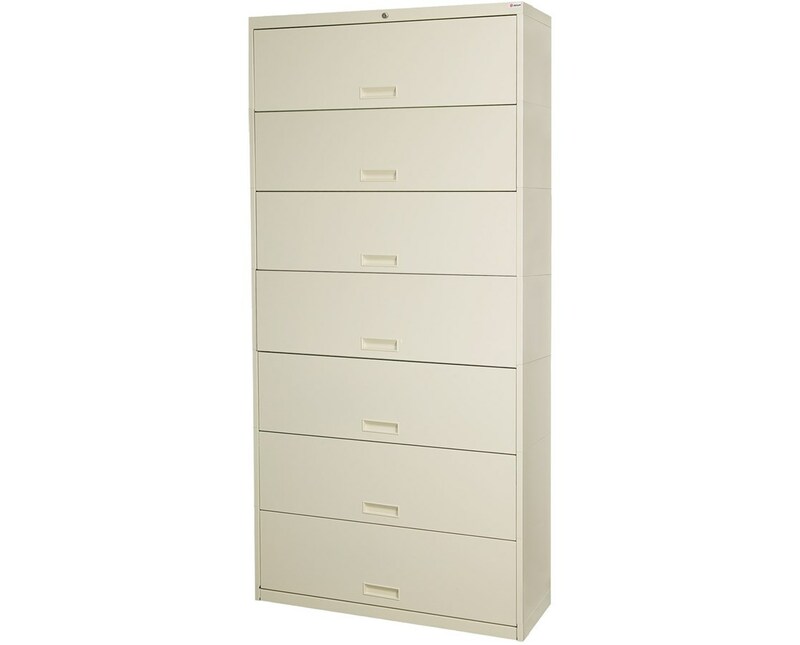 Each tier includes two steel adjustable file dividers that can be positioned on 2" centers along the shelf length. The unit's base features 4 threaded leveling domes for added stability and the doors have black handles for a finished look. The unit ships mostly assembled and requires partial assembly. The Stak-N-Lok Filing System comes several customizable options in order to provide you the perfect product that fits your specific needs. Select your preferences from the options shown above. Contact us for assistance the many available customization options. 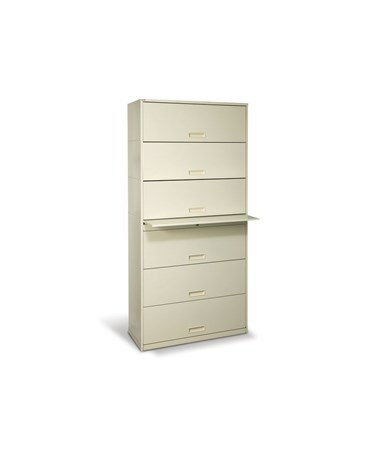 There are two shelf size options to fit different types of medical files - Letter or Legal. You can choose to purchase your unit or out a locking mechanism. 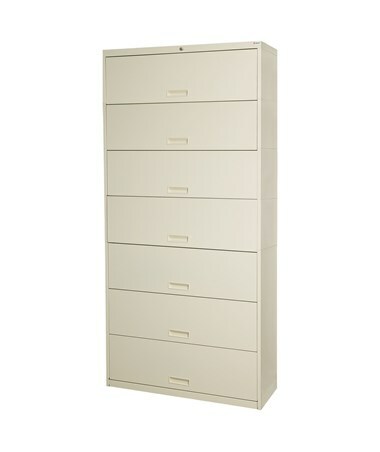 The seven tier model has three designs to choose from - Base Model, Posting Shelf, and Spacer. The Posting Shelf option includes a retractable shelf above the third tier, providing an additional work surface. The Spacer option has a space above the third tier in order to have a uniform height when placed adjacent to the cabinets with posting shelves. Ensure maximum accessibility inside cabinet depths of 13-5/8" to accommodate letter and binder media sizes, and a 16-5/8" depth unit for legal sized documents. Optional posting shelf ( the 200 Series version only) provides additional workspace and saves space by retracting when not in use. Depth Letter: 15" / Legal: 18"
Height Base Model 88": With Spacer / Posting Shelf 90.5"
Product Weight 158 - 334 lbs.